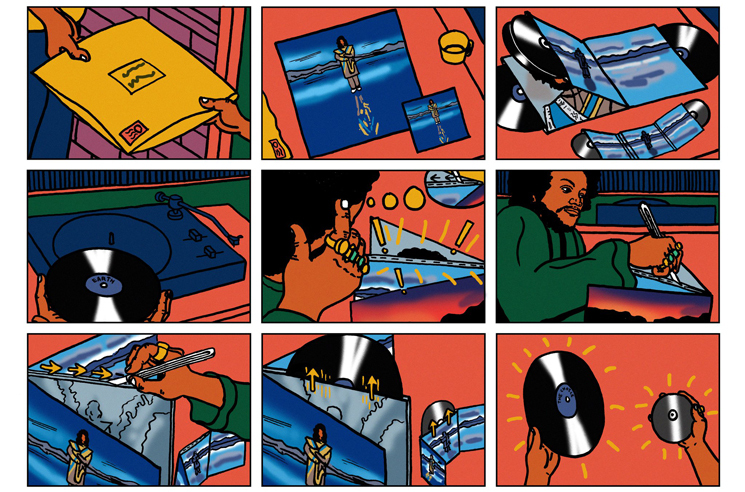 It's been nearly two weeks since the arrival of Kamasi Washington's Heaven and Earth, and if you're in search of more jazz wizardry courtesy of the sax man, there's a special treat to be had inside the album's vinyl edition. As Washington pointed out late last week, a fifth vinyl LP has been hidden inside Heaven and Earth's 4-LP packaging. A five-track EP titled The Choice can be found by carefully cutting open the top of the LP jacket's middle fold, allowing users to discover the 12-inch disc inside. If you're without a turntable of your own, all five tracks of The Choice can be heard on streaming services, and you can find players for the bonus release below.